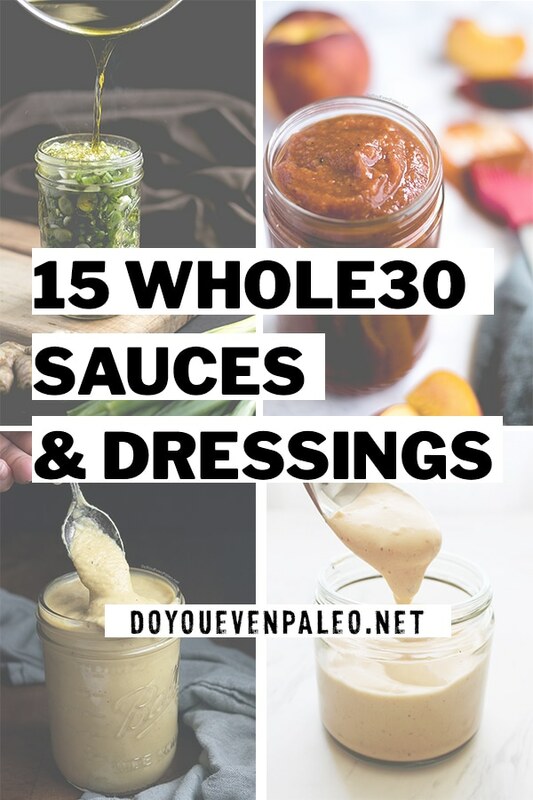 From classics like paleo mayo and ranch dressing to more unique creations like ginger scallion sauce, I’ve rounded up a broad variety of paleo dressing and sauce recipes for you! Let’s dive on in. And, of course, let me know—which is your favorite? 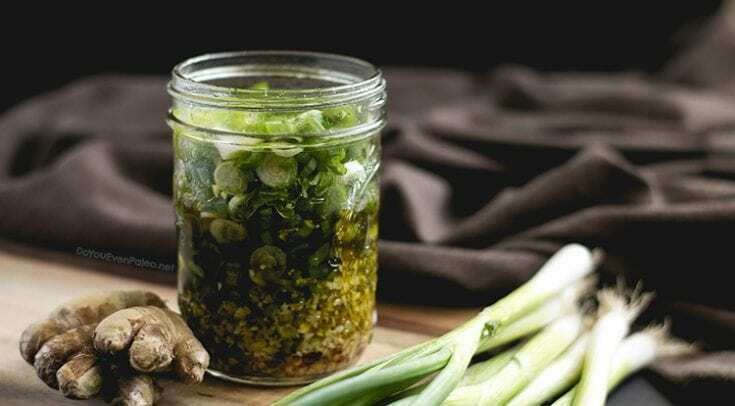 Ginger scallion sauce is one of my FAVORITE ways to add flavor to a meal! This stuff is excellent slathered on chicken or pork chops, but I've also added it to salads and roasted veggies for a boost of flavor. 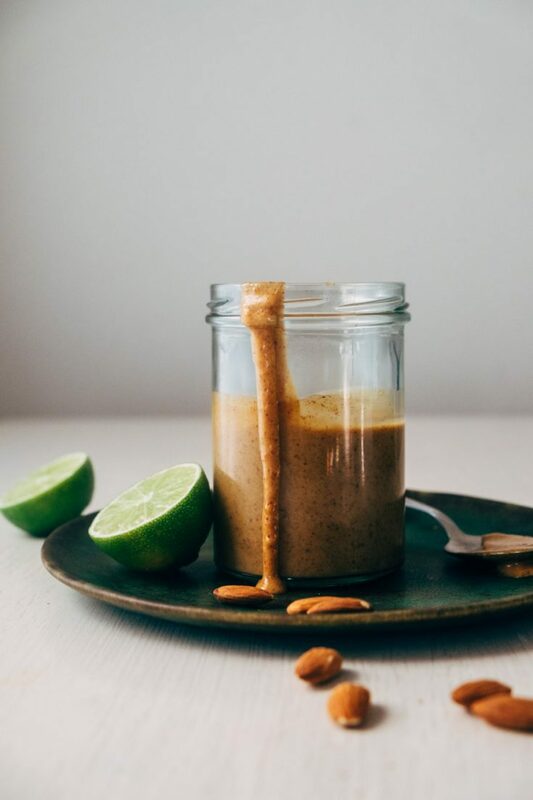 Add a Thai spin to salads with this simple almond butter-based sauce! 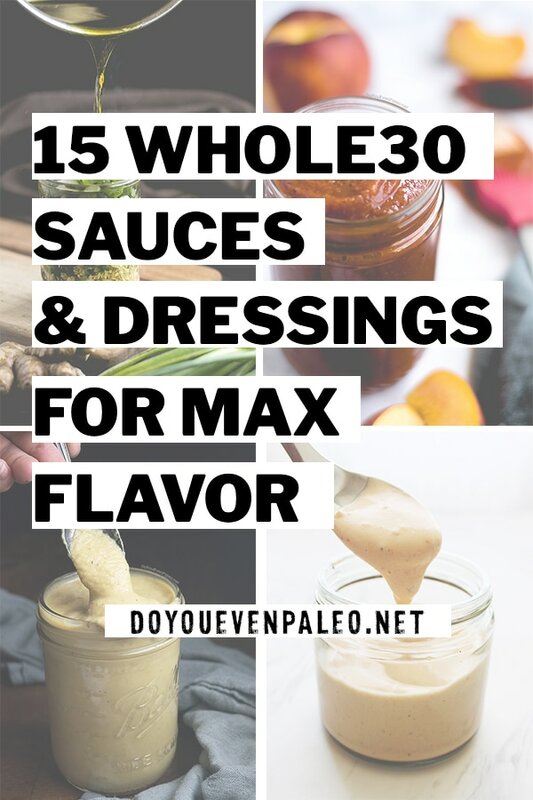 Many sauces in this roundup use mayonnaise as a base. 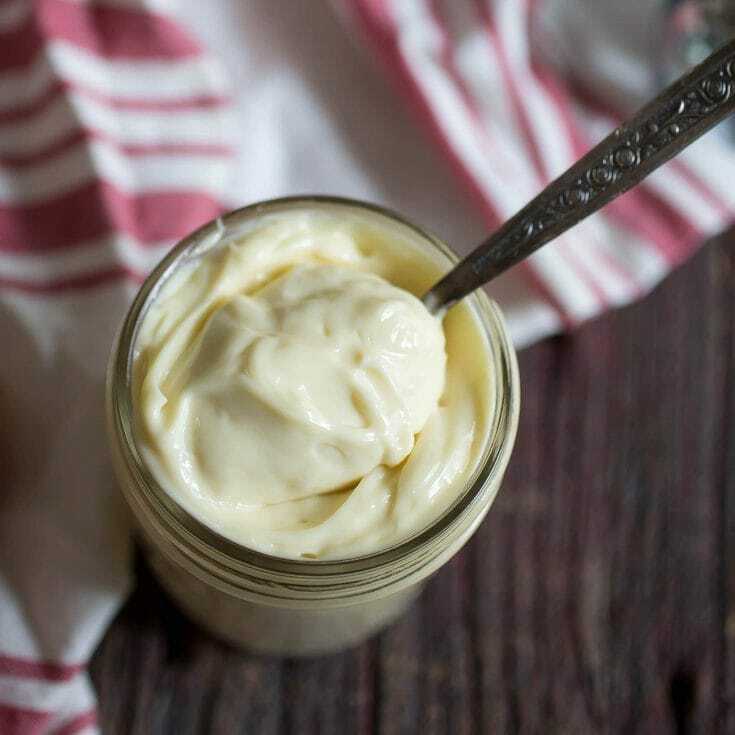 This is a foolproof recipe for Whole30 Mayo! 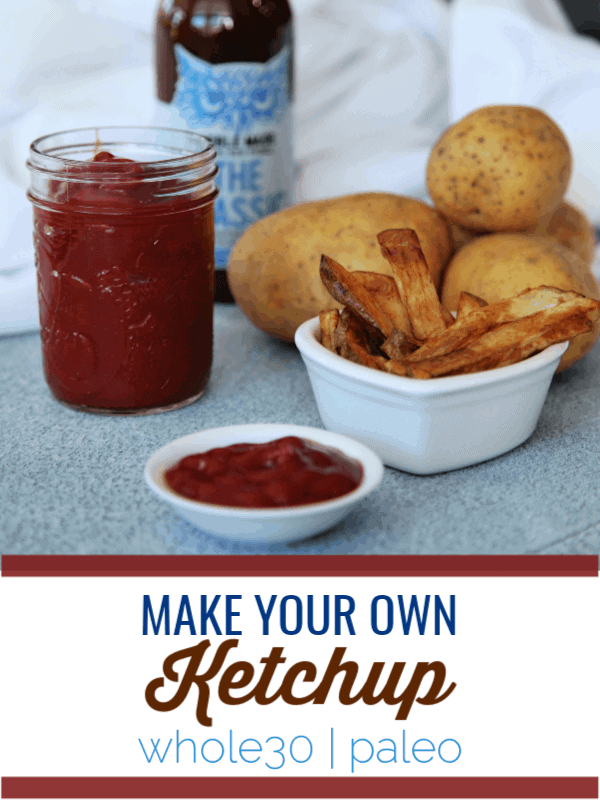 It's hard to find Whole30-friendly ketchup, so why not make it at home? It's easier than you think! 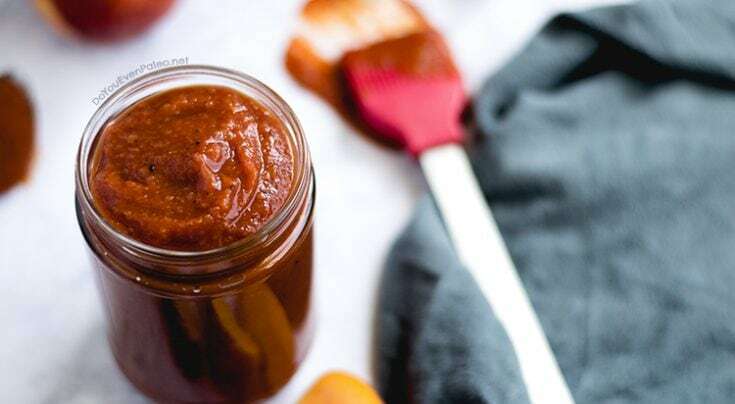 This smokey-sweet barbecue sauce uses only peaches to sweeten it. You need this around for all your summer grilling! Ah, the classics! Got to have an option for Whole30 ranch! I don't need to tell you all the things you can use a favorite like this for. 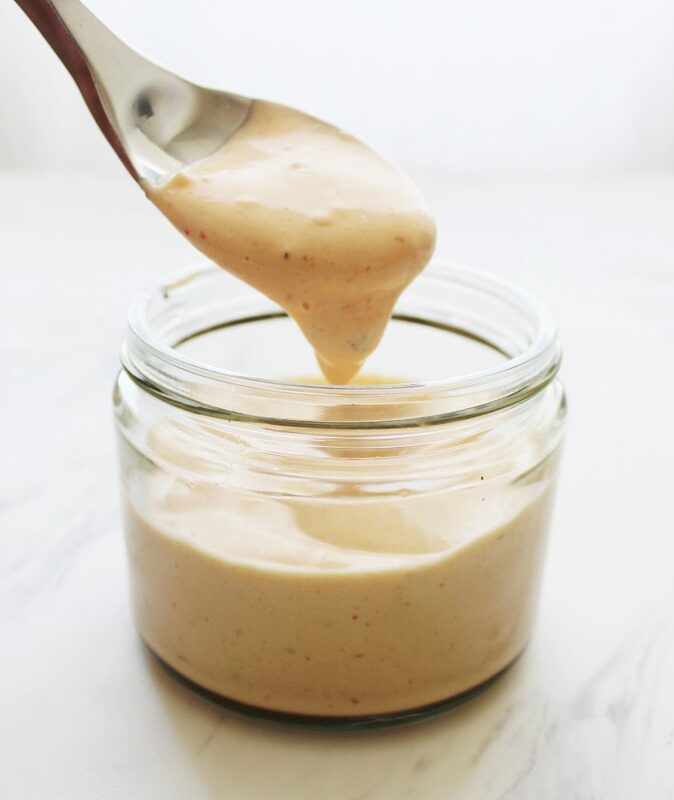 This easy spicy garlic aioli needs only 5 ingredients! 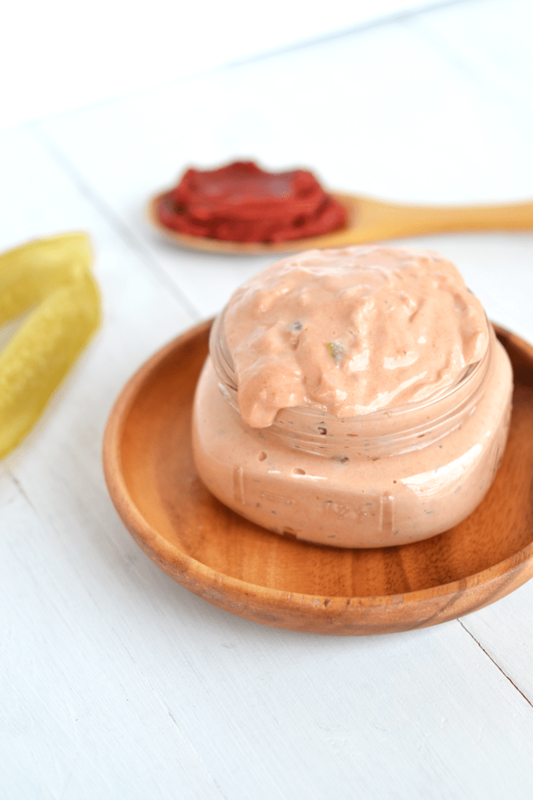 A sauce like this is perfect for dipping veggies or jazzing up chicken and other meats. 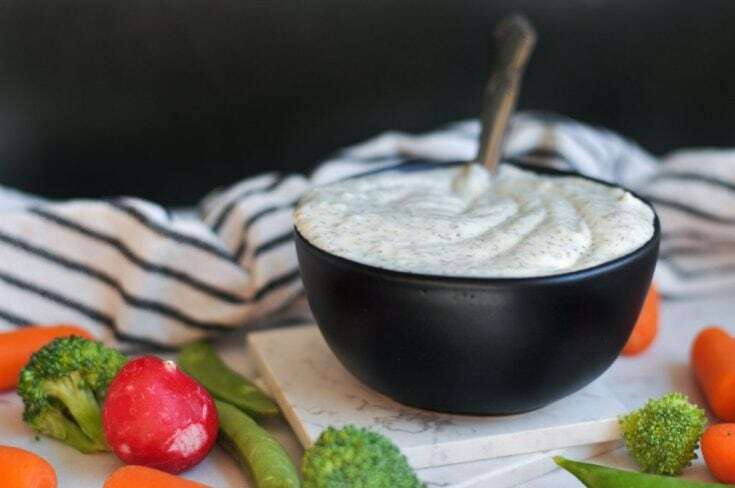 With pureed cauliflower as a base, this "cheese" sauce is a nutritious dairy-free version of alfredo. Put it on steamed broccoli or pour it over zoodles! 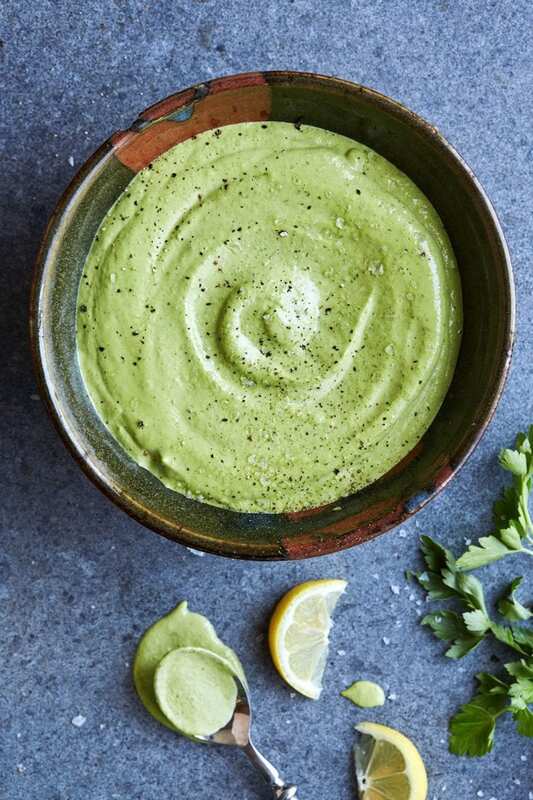 This simple green tahini sauce makes a perfect mate for salads or roasted veggies. 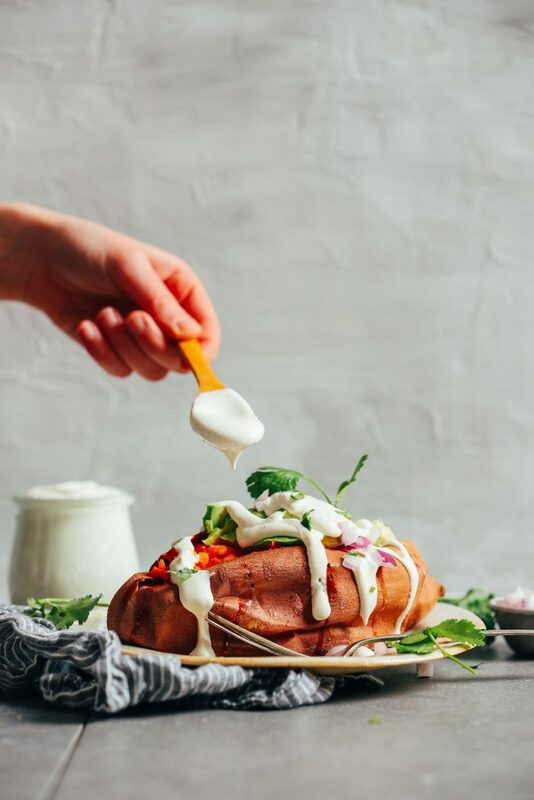 If you're a thousand island fan, this recipe's for you! A Whole30 version of the salad classic, it requires just a handful of ingredients. Missing sour cream? 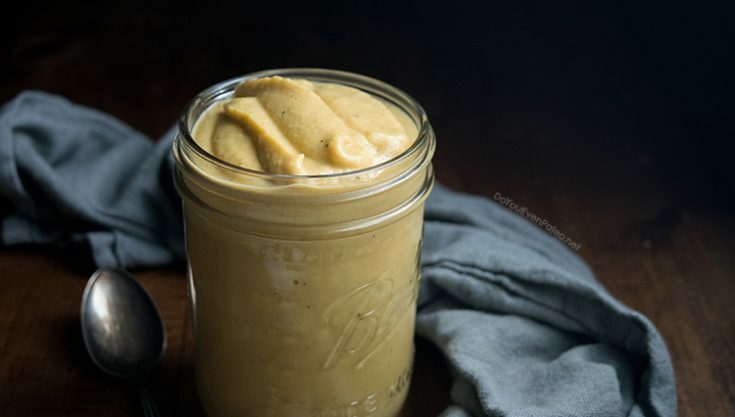 Try this dairy free version! Perfect for a comforting bowl of Whole30 chili. 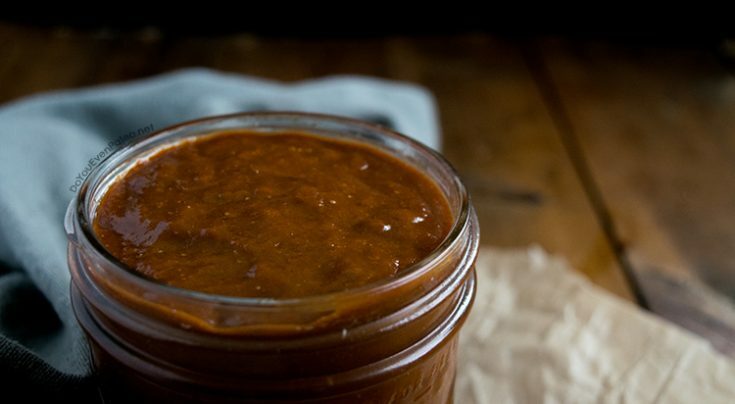 Homemade enchilada sauce is surprisingly easy and dang, does it deliver amazing flavor! 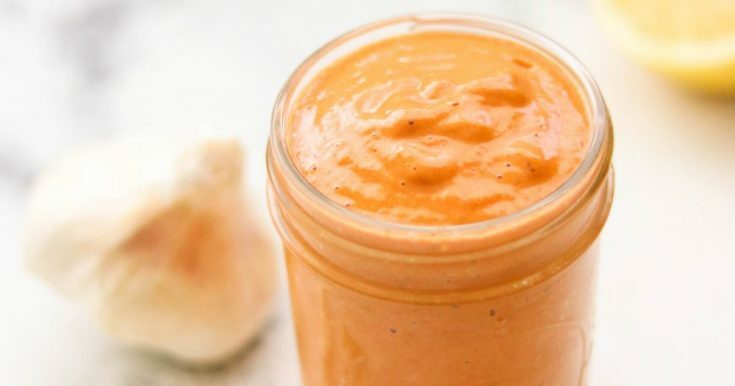 Smokey and addictive, this roasted red pepper sauce can kick up roasted veggies, veggie noodles, or meats. You need to have tzatziki in your life. 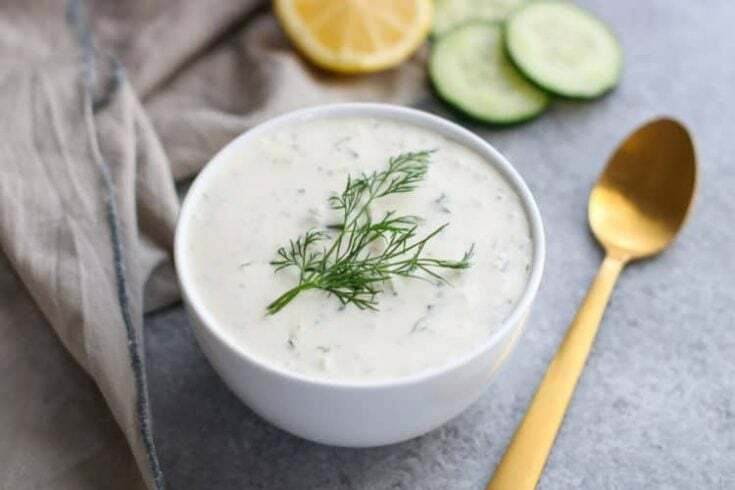 This cool cucumber sauce is traditionally paired with Greek and Mediterranean fare, but you can literally put this on anything! Let's spice things up, shall we? 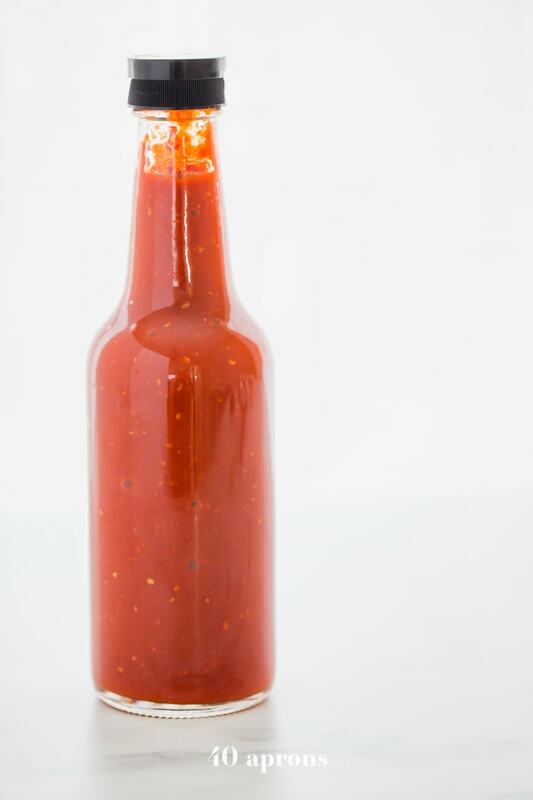 Whole30 sriracha packs heat and flavor even in small doses. Don't subscribe All Replies to my comments Notify me of followup comments via e-mail. You can also <a href='https://www.doyouevenpaleo.net/comment-subscriptions/?srp=7071&srk=87505361eee98908ddf6ccb8681f50d6&sra=s&srsrc=f'>subscribe</a> without commenting.